If you haven’t already hired a professional photographer to shoot your listings, you should really think about doing so. I grew up in Central Wisconsin and got hooked on architecture after seeing my first Frank Lloyd Wright home. My sister got me into photography years ago and I really enjoyed the aspect of nature. 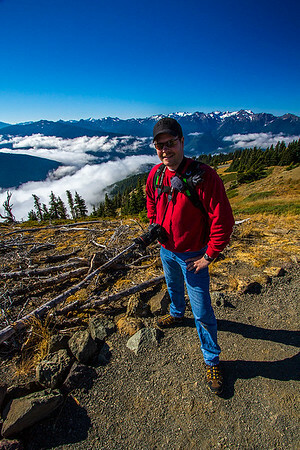 The first photo is one of me hiking in the Olympic Mountains, so I hope you can see why I love it. I happen to take a trip to Spring Green Wisconsin a year or two later (the home of Frank Lloyd Wright) and I fell back into the architectural fascination. Since then, I have spent endless hours looking at and walking in the Milwaukee Art Museum, San Fran's Museum of Modern Art, Fallingwater, Teliesin, the Walker Art Center and the Del Coronado. They are items of beauty, strength and ingenuity that the eye needs to partake in. If I am not behind the lens, then you will most likely find me biking, golfing or walking on the beach.